“A University of New Orleans degree is not an easy degree to get….and when you graduate, you are very prepared to compete,” says Roy A. Glapion, P.E. (BS Civil Engineering 1987). This has been exemplified throughout his career both as an engineer and an entrepreneur. His engineering education most certainly influenced the philosophy by which he lives: in life, everything is a problem which can be solved just like an equation if you select the correct variables. "There is always an answer; however, sometimes it may not be the answer you are looking for," says Glapion. Glapion, Vice President and Partner/Member at The Beta Group, has worked in his field of study since his first job after graduating. But not long after starting as an engineer at Burk & Associates, he recognized that his professors at UNO had been right about more than academics. While at UNO, they had fostered his natural sense of entrepreneurialism, encouraging him to reach for more than just a career as an engineer, and to consider building his own business. He attributes most of his forward thinking outside of engineering to two of his UNO engineering professors, Alim Hannoura, Ph.D., P.E. and Mike Folse, Ph.D., S.E. They knew that there was more to life than thinking in terms of "black and white", the world is gray and to be a true problem solver you have to think in terms of gray! Now that he was an employed engineer, he knew he wanted more. Starting a business was a “problem to be solved”, so Glapion got to work organizing all the variables correctly. He had to think in terms of gray and not just the typical mathematical number-crunching associated with "black and white" engineering thinking. To broaden his experience, Glapion took a position at a smaller engineering firm, Innovative Design Group, which gave him the opportunity to take structural engineering projects from start to finish. His success helped him gain the confidence he knew he would need to start his own business. The next variable in launching a successful business was how to compete for limited work in a market with multiple structural engineering firms. 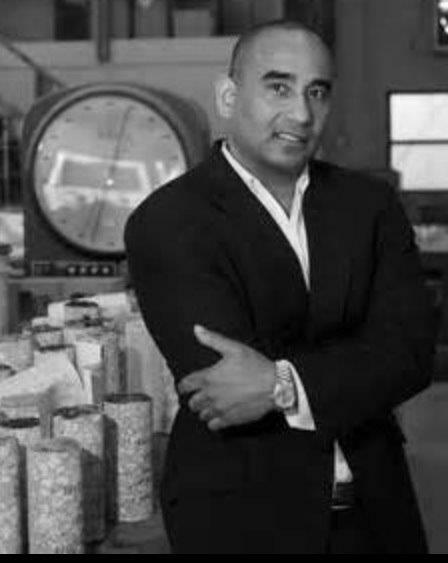 Identifying an under-served segment for engineering in Construction Materials and Testing labs, Glapion and his partner opened Citywide Testing and Inspections, Inc. in 1995. Under his leadership as President, the firm landed contracts for prestigious projects including the New Orleans Sports Arena, the John A. Alario Sr. Event Center, analysis of the Superdome Roof improvements, and Jazzland. The company grew to be more than 100 employees before being sold to a National Testing Company in 2007. Glapion stayed on as Senior Vice President, helping to increase their market share by over 30%, until a new entrepreneurial opportunity arrived. This time the chance to create a business came from a former competitor offering him a partnership. It was not until he accepted the partnership as a Member with The Beta Group, a geotechnical and construction materials testing laboratory company, that Glapion learned that two of his three partners are also graduates of the University of New Orleans. It’s perhaps less surprising that Glapion should find himself working with fellow UNO alumni when you consider Glapion’s memories of his time as an engineering student: “We all studied together all the time…It was intense….Engineers hung out with engineers. Having fun was going to the Sandbar to relax, and then going back to the engineering building to study. You had to keep your sanity. I also slept in the engineering building.” ...and loved it: “What people don’t understand, mathematically, you’re not going to spend that many hours doing it, unless you love it,” said Glapion. He still does, and it's a way of life. The book on his nightstand, in addition to his father's bible, is E=MC2, A Biography of the World’s Most Famous Equation. Before that, he re-read his PE Manual “just because I wanted to”. Closet GEEK! But while Glapion’s interests are deeply rooted in technology, math and science, not everyone knows it: to most people, he’s “social Roy” or “Motorcycle Roy”. That’s right, “Motorcycle Roy”. Glapion has been a fan of fast speeds since birth according to his mother who told him the first sounds he ever made were imitations of passing cars. Glapion now collects cars - fast cars - including a ‘69 Corvette convertible Stingray, a ‘62 Corvette convertible, a 650i twin turbo BMW, and a 525 horsepower Camaro which he reprogrammed to go even faster. It's his daily driver. And the motorcycle? A Big Dog Pitbull Rigid Frame with an S&S V-twin 6 speed racing engine which he claims he’s only gotten up to 120mph and has rode to Austin, TX several times. Glapion admitted that this need for speed may have played a small role in his coming to the University of New Orleans his sophomore year. After winning the state football championship at St. Augustine High School, Glapion was recruited to play football for LSU and Iowa. He opted not to play college football but to attend LSU. On discovering first-hand that his street racing days were over and that LSU wasn’t the right fit, he came home to New Orleans after his freshman year. It was time to grow up. Although still a kid at heart and a passion for speed, he enrolled at the University of New Orleans and dove into his studies with serious commitment. Some time had passed him by, and it was time to catch up, to go faster. Glapion brings the same energy and skills he learned at UNO to his civic involvements, keeping in mind “tomorrow is not promised so make use of the time you have. Love and live life to the fullest, and help at least one person every day." He is currently the Chairman of the New Orleans Recreation Development Commission. He serves as a member of the Boards of Directors of the UNO Research & Technology Foundation, the Delgado Foundation, the New Orleans Regional Black Chamber of Commerce, and Chairman of the UNCF-LA Leadership Council. He is a Junior Achievement Business Hall of Fame Laureate, a recipient of the Young Leadership Council’s Role Model Award, and the UNO Distinguished Engineering Alumnus Service Award. "Sleeping is over rated." He and Inez Glapion have two sons, Dalton and Dillon. The University of New Orleans International Alumni Association is proud to recognize Glapion’s accomplishments, service and commitment to the University with its highest honor, the University of New Orleans Homer L. Hitt Distinguished Alumni Award. He is the 32nd recipient of the prestigious honor. Past recipients include: Sheriff Newell Normand, Al Jazeera Producer Kim Bondy, Gambit Communications Chairman Clancy Dubos and former Lieutenant Governor Melinda Schwegmann. Glapion will be presented with the award during UNO Alumni Week at the 2015 University of New Orleans Distinguished Alumni Celebration, Thursday, November 5, 2015, at the Lakefront Airport. For details, visit www.UNOAlumni.com/2015DA. Click Here to read the press release announcing Glapion's selection as 2015 awardee.